Convertible Top with Side Curtain's, MG Replica "Classic Motor Carriages and Fiberfab"
Tops Fit Classic Motor Carriages and Fiberfab MG TD Only. Convertible Top comes with Side Curtains and Lexan Strips. If you do not have the Bows, Bow Hardware, or Snap Kit they are all Sold Separately. Classic Motor Carriages and Fiberfab made several changes to the Top and Side Curtain design and shape through the years. We continue to make the last and best Design of the Top and Side Curtains, you may need to add snap locations and ignore existing snap studs. Other MG Manufactured Kits will need to alter Top and/or Bows to fit correctly. 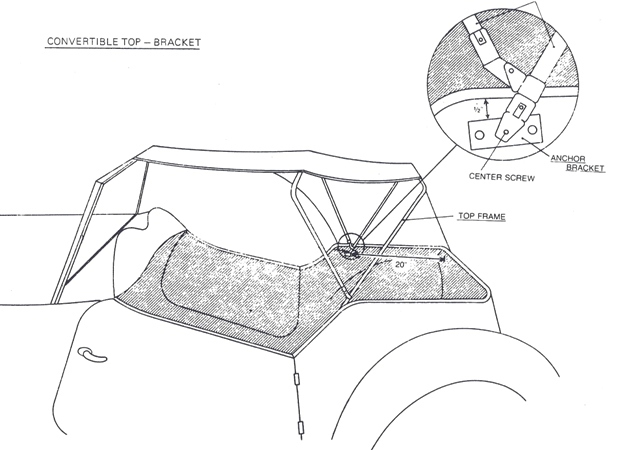 See Diagrams below for CMC and Fiberfab Windshield and Bow mounting locations. Bows must be mounted on the inside, on the carpet, near the seat back. Windsheild must have a grove across the front. Classic Motor Carriages and Fiberfab MG measure about 43" Width from inside to inside of fiberglass just behind the seat back. Classic Motor Carriages and Fiberfab MG measure about 50 1/2" Length from Inside top of windshield to inside back fiberglass. 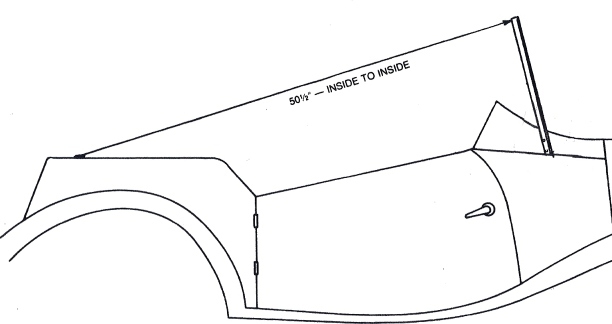 The Front Flap (Seam/Pocket) that tucks into the Windshield frame, with the Lexan strip in the Pocket, Measures about 38 1/2". Our MG Bow's Measure about 40" at the Top after the bend, Short Bow measures 18", the Long Bow Measures 20" off the ground. 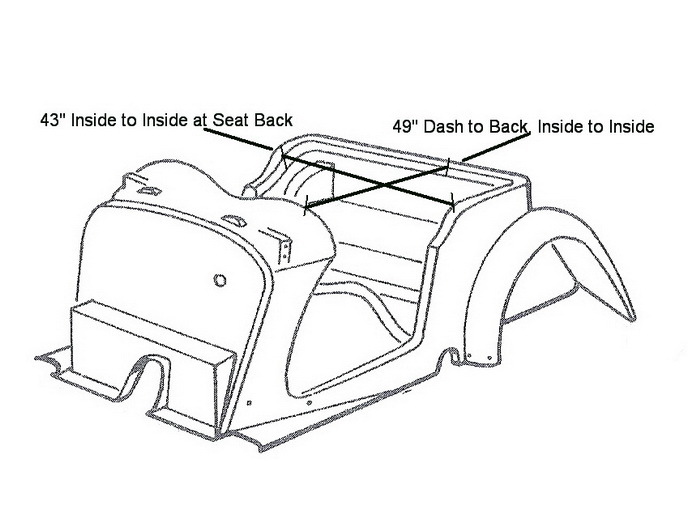 Measure width, length, and top windshield grove before ordering to insure the top will fit properly. 20%Restocking fee on all items. Click the button below to add the Convertible Top with Side Curtain's, MG Replica "Classic Motor Carriages and Fiberfab" to your wish list.